For the most part, scientists get into their careers to do research that will contribute to society. They look for ways to make life better, improve on things that already exist, and find information that will help future generations. But there are some scientific inventions that have been used for destructive purposes. Here are some of those inventions and the stories behind them. 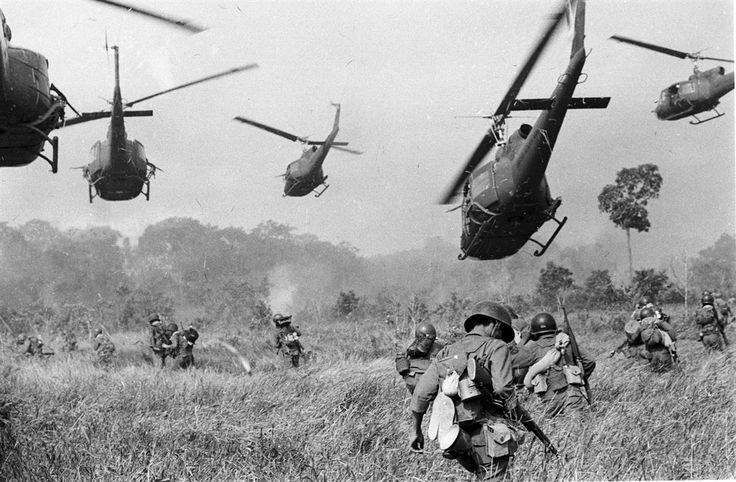 Many of the troops who returned from the Vietnam War were affected by a chemical that was called Agent Orange. This product was first created by Arthur Galston as a means to accelerate the growth of soybeans. Agent Orange was also designed to help soybeans grow in areas where their seasons were rather short. In small concentrations, it was very beneficial to the soybean crops. However, in high concentrations, Agent Orange actually defoliated the soybean crops and destroyed them. The US government bought 77 million liters of this chemical during the Vietnam War and sprayed it over much of the country, even while US troops were still on the ground. In total, this caused more than 400,000 fatalities and disabilities and half a million birth defects. The United States sprayed the jungles in Vietnam with this powerful herbicide in order to remove the foliage and trees that the enemies often used for cover. The spraying was known as Operation Ranch Hand and it generally lasted from 1961 until 1971. The US sprayed about 20,000,000 gallons of it and mixed it with jet fuel. Today, many veterans from the Vietnam War receive compensation from the US government due to complications and health issues caused by this destructive herbicide. What started out as a nitrogen fertilizer that was used for good became the preferred chemical that was often used in the gas chambers of the Holocaust. It was made from a combination of hydrocyanic acid, irritant and fertilizer. Zyklon B was invented by Fritz Haber, a Jewish scientist who was also the recipient of a Nobel Prize. He made Zyklon B as a cheap fertilizer that could be mass produced, but he also made chemical weapons during World War I for the Germans. As a fertilizer, it was used for killing insects and rats. It was especially good at killing lice. Even when used as a fertilizer, great care had to be taken because the canisters would diffuse immediately after they were opened. Even when great care was taken, accidental deaths would occur. During World War I, Zyklon B was used during warfare on a large scale. As a poison gas, it killed more than 100,000 people, both civilians and soldiers. His Zyklon B invention became responsible for at least 1.2 million deaths of prisoners in the German concentration camps. This wasn’t the first method of genocide that the Nazis used, though. At the beginning of the war, they simply starved, burned, and killed the Jews. In some cases, they used carbon monoxide fumes to kill them. But as diesel fuel became harder to come by during the way, they searched for another method for their plans of mass extermination. They began doing experiments with Zyklon B on Soviet prisoners in September of 1941. Zyklon B was used in several concentration camps as it became more and more popular among the Nazi officials. During the spring of 1942 alone, about 7 metric tons of this gas was used in Auschwitz. The next year, 12 metric tons were used. At one point during the peak of its use, more than 12,000 Jews per day were dying at Auschwitz as a result of Zyklon B.
TNT, which stands for trinitrotoluene, was developed in 1863 as a harmless yellow dye by German chemist, Joseph Wilbrand. But in 1902, it was discovered that TNT could also be used as a destructive explosive if used in a certain way. 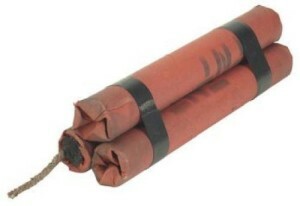 At first, TNT was not considered a viable explosive because it was not easy to detonate and it was not as powerful as other explosives that were around at the time. However, it could be easily poured into shell cases when it was liquid, which was a selling point. In 1910, its inability to detonate easily cause TNT to be left off of the UK’s Explosive Act of 1875. Years earlier, however, the Germans recognized the potential of TNT when it began filling its artillery shells with it in 1902. These shells could pierce the armor of its enemies, especially the armor of the ships. During World War I and World War II, both sides used TNT as a weapon against their enemies, creating massive amounts of destruction and loss of life. It is still used today in military conflicts and wars because of its effective and powerful nature. TNT is the most popular component in an explosive because has the ability to avoid friction and shock when it is detonated. It is also more popular than its closest counterpart – nitroglycerin – because it has a lower melting point. This helps reduce the risk of detonating prematurely. It is commonly used today by the United States military and for imploding buildings in different parts of the world for purposes of constructing new buildings. Midgley himself contracted lead poisoning and was confined to a bed. While confined, he created a pulley system by which he could pull himself up. But he accidentally strangled himself to death one time when his head got intertwined in the pulley system and nobody was around to help. With all of the new chemical inventions and discoveries of the 19th and early 20th century, World War I was known as the “chemist’s war.” There were many new deadly gases and chemicals used in this war that had never been used as weapons before. The Germans were the first to use chemical warfare during WWI in a major way. At the Second Battle of Ypres, they launched thousands of containers of chlorine gas across the battlefield into their enemy’s territory. While the French and Germans used tear gas earlier in the war, the launching of chlorine gas was a much larger use of chemical warfare and it was more deadly. 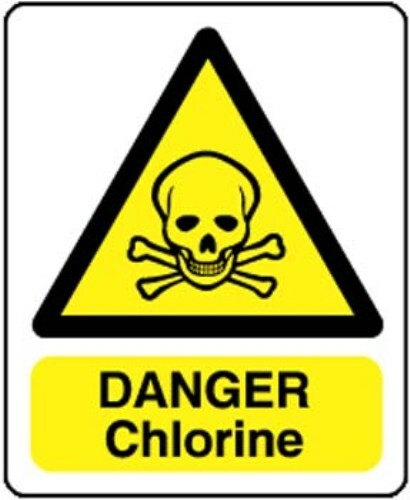 The Germans killed hundreds of French soldiers with the chlorine gas that they launched. The chlorine worked as a choking agent and it caused fluid to build up in the lungs of the opposing army. However, reports have claimed that the Germans were so surprised at how effective the chlorine gas was that they were not prepared to advance and, as a result, they did not have an immediate advantage over the French. Ricin is a poison that is derived from the castor bean. It is so poisonous and lethal that an amount that equals just a few grains of salt is enough to kill a fully grown person. Ricin is so lethal because it prevents the body from producing the specific proteins that it needs in order to survive. This soon causes the person to go into shock and die within just a short time. Ricin is very easy to produce and, as a result, has been stockpiled and weaponized by several nations in the world. In fact, it has been used several times. One time it was even used in the assassination of Georgi Markov, a Bulgarian dissident writer. He was shot with a ricin pellet in 1978 while walking the streets of London. Theories state that the KGB or the Bulgarian secret police were the ones who committed the assassination. Louis Fieser, a Harvard chemist, developed napalm in 1943 along with his team of researchers and scientists. Napalm is a sticky substance that is much like gasoline and it can literally melt the skin of those who come in contact with it. It was first developed as an effective weed killer, but it was later used for destructive purposes, mainly in the Vietnam War. Napalm was first used during World War II. The United States used a firebomb in a raid on Tokyo and the bomb was filled with Napalm. It killed about 100,000 people, which was deadlier than the atomic bomb that was dropped on Nagasaki and nearly as destructive as the atomic bomb that was dropped on Hiroshima which effectively ended the war. However, napalm was used widely during the Vietnam War. The famous photograph of the young girl running away from her village following the bombing of her village was a result of a napalm bomb. Much of the skin on her back was melted off of her body. Napalm bombs were not the only thing that scientists have experimented with in regards to this chemical. There was a project called Project X-Ray in which the United States wanted to release bats that had napalm-laced time bombs strapped to them. The idea was that these bats would fly into Japanese cities during WWII and roost in wooden houses. When the time bomb went off, the entire house would explode and kill everybody in it. As successful as the trial runs were, the arsenal would not be ready in time so the entire project was scrapped. Another major chemical substance that has destructive purposes are blood agents. These are chemical agents that are absorbed into a person’s bloodstream and they are typically lethal. Most blood agents are either arsenic-based or cyanide-based and at room temperature, they usually have only a faint odor and they are colorless. This makes them almost undetectable in most circumstances. 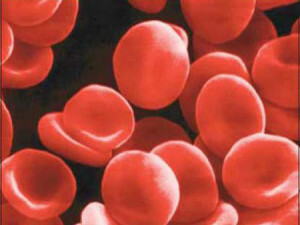 Blood agents are generally ingested or inhaled in order for them to be effective. They can be used in foods to poison a person. But they can also be used in aerosols as a chemical weapon for a more widespread dissemination to affect a much larger number of people. The most lethal and effective chemical weapons are nerve agents because it does not take much to kill an enemy. Sarin gas is one of the most widely used and effective nerve agents because a simple drop of it can be fatal in only a few short minutes. The first major use of sarin gas in warfare was on the battlefield during the Iraq-Iran war. Iraq released sarin gas and mustard gas as airborne chemicals, killing hundreds of people in the process. Some chemical weapons were designed to create havoc on people and incapacitate them without killing them. Instead, blister agents are chemical compounds that cause severe irritation to the skin, eyes, and mucous membranes. This results in extreme pain that renders those who come in contact with the blister agent relatively useless. Some of these blister agents occur naturally in substances like cantharidin or furanocoumain because they increase the skins sensitivity.